Authority Health › Food & Nutrition › Fruit - Friend Or Foe? "Get your fruits and veggies every day!" How many times have you heard that advice? I mean, you know it is true, right? - they are nature's own healthy foods. They also fit in with the principles of Paleo - we have been getting sustenance from them for millennia, they are unprocessed and as real as food can get. In addition, many can be considered a healthy sort of convenience food - eaten raw and easily added to a lunchbox or backpack. Just stick an apple in your bag and you are ready to go. At first glance, they seem ideal. But its high fructose content warrants a second look. We know that adding sugar, especially stuff that is high in fructose, to food is bad for us because fructose is not the body's friend, for many reasons. So it would seem to make sense that the same logic should be applied to fruit because it has high levels of fructose. That, however, would be wrong. What you need to consider is how much fruit you would need to eat to be getting dangerous levels of fructose. You are not physically capable of eating enough fructose from fruit alone to cause damage. The key is to eat the fruit whole. 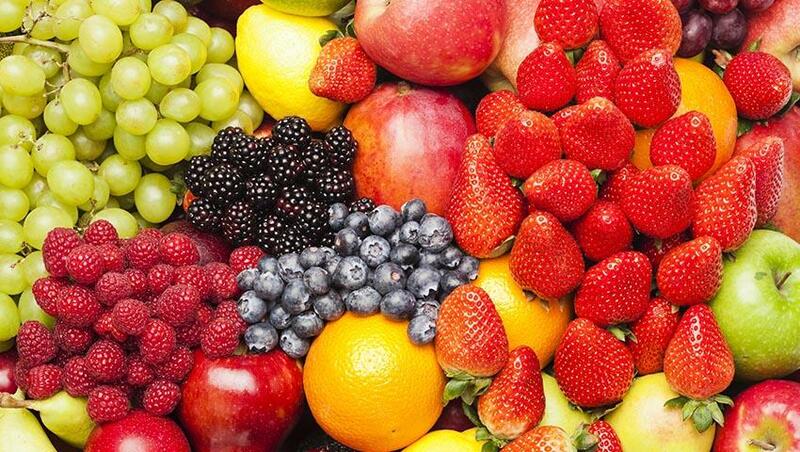 Mother Nature loaded fruits with fiber and water both of which contribute to the satiety factor. 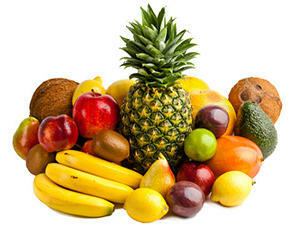 Fruit also tends to be harder to chew and this slows down the consumption rate and the digestive process as well. All in all, this all combines to make the fructose in fruit a lot less harmful than that found in added sugars. Also, you are much more likely to stop at just one or two pieces of fruit. An apple, for example, typically has around 23g of sugar - consisting of 10g glucose and 13g fructose. A half liter bottle of coke, on the other hand has a whopping 5 times the amount of sugar and almost 3 times the amount of fructose. You will find that eating an apple before a meal will help make you feel fuller and you will naturally eat fewer calories during the meal. The soda, on the other hand, has little effect on how full you feel and causes dangerous blood sugar spikes, to boot. And without the fiber and chewing there is nothing to slow down the fructose absorption. The fructose delivered by a whole apple is easy for the liver to handle because it comes in slowly and in relatively small quantities. The sugar in a soda, however, can overwhelm the liver. Evolution should also be considered here - for millennia, humans have been eating fruit that has fructose in it without ill effects - it is only in modern times with the prevalence of convenience foods that problems with fructose have emerged. The fructose in WHOLE fruits is not going to harm you. Adding sugar will. We are told to get our five servings of fruit and veggies for good reason - they contain tons of nutrients and antioxidants, soluble fiber, etc. It is especially important to source foods that contain soluble fiber naturally - this is something that is sorely lacking in the typical Western diet. Fiber helps to slow the absorption into the bloodstream of carbs and helps to make you feel fuller as well. It has also been proven to assist with losing weight. Fruits have a whole load of nutrients, and are particularly high in Vitamin C. There are naturally differing quantities of nutrients found in various fruits of course - affected by the sort of fruit, where it is grown and even how fresh it is. In order to optimize the mix of nutrients, you need to look at choosing fruit that is highest in fiber and lowest in fructose content. Generally speaking, the sweeter the fruit, the more fructose in it. You also want to mix it up a bit because you will get different benefits from different types. When it comes to research, the results are stacked in favor of fruit. In a number of separate studies it was observed that those who ate a variety of veggies and fruits in larger quantities also had less chance of developing several serious diseases. A big study, conducted in America and consisting of almost 10,000 participants, showed that increased veggie and fruit intake could almost halve the risk of women developing diabetes. In men, no significant difference was found. In another study, both groups were studied separately and it was found that veggies helped reduce the chances of developing breast cancer. Fruit did not have the same protective effect. Most of the time, veggies and fruits are piled into the same research though there were some studies that concentrated only on fruit. A review that entailed analyzing nine separate studies concluded that eating just one piece of fruit a day could cut your chances of developing cardiovascular disease by almost 10%. There was a study that examined the effect of various fruits on the risk of developing adult onset diabetes. Blueberries, grapes and apples had the most protective effect - blueberries being the most beneficial. There have been a lot of studies that have been conducted over the years and the general conclusion appears to be that regularly consuming veggies and fruit can lower the incidence of strokes and cardiovascular disease. One issue that does arise when it comes to such studies is that it is not possible to separate causation from correlation. We cannot say for certain that fruit was what reduced the risk of disease. People who eat a lot of fruit do tend to be more health conscious anyway - fruit is known to be healthy food. They are thus not as likely to engage in less healthy behaviors overall and this could be what the tests are showing. Some tests have taken cognizance of this; randomized trials in a controlled environment have proved that upping your intake of fruit does help to reduce your blood pressure, help with blood sugar control and also helps your body to deal with oxidation. Fruits are thus important when it comes to good health. 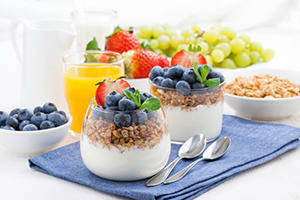 Most people get so hung up on the amount of carbs and sugar in fruit that they forget that fruit is also very filling. Take the high fiber count, the high percentage of water and the facts that fruits are chewy and you will find that they are very good value for your calorie concerns. It is actually even said that, in terms of satiety, oranges and apples end up with a better rating than eggs and beef. This, in essence, means that, by increasing the amount of fruits you eat, you will feel fuller and will naturally eat fewer other foods during the day. In one study, scientists set out to see whether or not fruits contributed to weight loss. The study required the participants, all male, to eat only nuts (18% of their intake) with the remainder being fruit, for a half a year. As predicted, all participants lost weight. Those that were more obese lost a significant amount more than those who were average weight. Logic dictates that if you start to eat fruits in place of processed foods, you would be able to lose weight for the long haul. There are also certain fruits that can help you lose weight such as Garcinia Cambogia. In western society, this is generally taken in supplement form. Before taking any nutritional supplements, it's wise to consult with your doctor and do research to ensure you are purchasing safe and effective products. For the vast majority of people, fruit is good but there are some instances when it should be avoided.Obviously if you have any kind of intolerance to the fruit, such as a sensitivity to fructose, fruit needs to be avoided. You also cannot include fruits if you are on a diet that aims to be ketogenic or that contains very few carbs. The aim of such a diet is to get the body to go into ketosis. This only starts to happen when you eat less than 50g of carbs daily. Considering that the carb content of fruit is pretty high, there really is no space for it on such a diet. Fruits in their natural form are real food and thus good for you. Dried fruit and fruit juice, however, are processed and ought to be avoided. For the most part, this is plain common sense. Just look at the sugar content of even the "natural" fruit juices. That said, even if you pull out your juicer and make your own, you are still doing yourself a disservice. Fruit juice is a very concentrated sugar source, even if unsweetened. Think about it, how many oranges does it take to just make one glass of orange juice? Would you sit down and eat the same number of oranges? Without the fiber and having to chew the fruit, the sugar hits your system almost instantaneously and blood sugar spikes. A similar principle applies to dried fruits - they do still have their fiber content but have also have a lot of sugar. You are also bound to eat a lot more before you feel full. A smoothie walks the middle road. It is not as good as eating the whole fruit as the blender does some of the work you should be doing chewing it. It is, however, still better than fruit juice. If you have no fruit sensitivity and are not on any special diet, there really is no reason not to eat fruit. Fruit does fall under the category of real food and is a lot better than most of the processed junk that we do tend to eat.